Under consideration for the Allstate All-America Cup in Orlando this summer, Duke commitment is a multi-dimensional defender. After a stellar freshman soccer season, Nicole Chico had an opportunity she couldn't pass up. 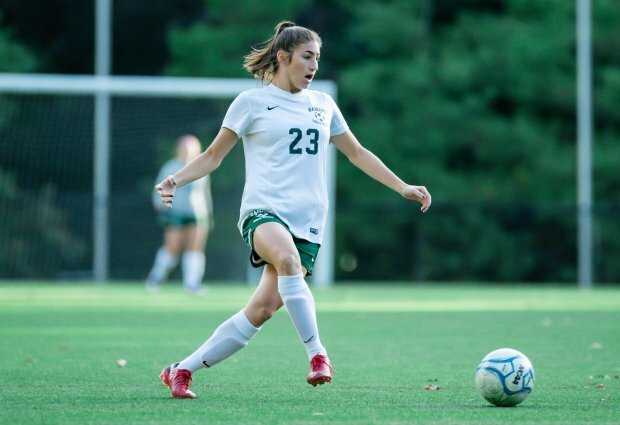 The Ramapo (Franklin Lakes, N.J.) defender was offered a spot to learn under Rutgers women's soccer coach Mike O'Neill at Players Development Academy (PDA). The year-long program meant Chico would have to miss her sophomore high school soccer season. Chico signed on to the program and three times a week for nearly two hours, she played games, watched games and became sound tactically. She knew her game would improve by attending PDA. But what happened exceeded her expectations. "I think confidence and mental strength along with tactics has completely changed me as a player," Chico said. "But I think high school's played a huge part in giving me the confidence to attack more and shoot more rather than in club where I play a little more defensively." Chico said how she played as a freshman can't compare to how solid of player she is now. 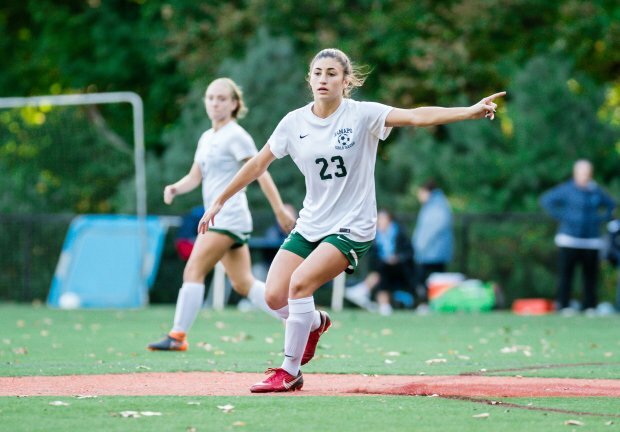 "She's just become a lot more confident just in her play and understanding what her ability is and how she can use it on the field," Ramapo soccer coach Sarah Francini said. "She's just a 100-mile-a-minute player. I think just maturity-wise understanding when those moments are when she can really utilize all her talents both defensively and offensively. I think there's an immense about of maturity over the past three years." She wrapped up a great junior season at Ramapo in November, tallying nine goals and eight assists. All-state, all-region, all-league and all-county honors followed. Chico, 17, has turned herself into one of the best offensive defenders in the country. According to her coach, it's rare these days to have such a well-polished high school player with the skills to excel at both ends of the field. "I think a lot of people try to play the style Nicky is capable of playing, getting your backs up to the flank of the field in the attack, and her ability to play that way exceeds a lot players at the high school level," said Francini, who was a defender during her soccer playing days. Chico in action against Immaculate Heart Academy last October. Chico was one of 150 high school juniors named as Allstate All-Americans in December and will be considered for participation in the Allstate All-America Cup this summer in Orlando. Former Major League Soccer and U.S. men's national team members Taylor Twellman and Brian McBride will join the likes of former U.S. women's national soccer team standouts and Olympic gold medalists Julie Foudy and Brandi Chastain to coach and mentor these promising high school players at the event. Francini knows her star player has a wicked combination of speed and intelligence. Chico is aware of the ideal times to stay back on the defensive end and when to push it up the field to create scoring opportunities for her and her teammates. "Having her get up offensively, it just adds another player in the mix that's one, effective getting up as far as getting the ball up field with speed and then she can shoot from about 30-35 yards out and really hit a ball," Francini said. "Having that threat when she does get the ball, you better close her down quick otherwise she's going to send one right at you." Chico, who still plays with PDA on the club circuit, feels like she has the best of both worlds by being able to play defensive and shut down opponents but also have the freedom to dribble up and be an offensive force. "I feel like being an outside back you have the biggest impact in the game," Chico said. "You can either win the game by scoring or goal or save it by stopping a goal." Said Francini: "Growing up, everyone wants their kids to be a forward and score all the goals and it's fun to have kids like Nicky who enjoy defense and are able to kind of get the most out of it. She's very defensive-minded in her play but also has that like killer attack as well." Francini said Chico has all the intangibles of being a great soccer player. But it's her drive and confidence that put her over the top. "You don't like have to tell Nicky, ‘Alright, let's go, you've got to do this,'" Francini said. "She always determined every practice, every game. She's giving you 100 percent. I don't think she knows how to give less than 100 percent, to be honest. She's got incredible speed. She's fast, she's smart." Chico showed so much promise her freshman season on the field that colleges around the country wanted her talents. Impressed by everything Duke offered, Chico verbally committed to the university the winter of her freshman year. That took a lot of pressure off Chico. She has been able to enjoy the game even more without colleges knocking down the door. This past season at Ramapo, Chico was able to play with her sister, Emily, who is a freshman, for the first time in organized soccer. The two – one starting at each outside back position – teamed up on many dynamic plays. Chico knows her Ramapo team is destined for greatest next year. After a busy summer winds down, she'll turn her attention to her final high school season. "I'm just so excited for next year and what's going to come and the people I get to play with," Chico said. "I think it's just going to be an awesome experience, and I can't wait."